Cleaning your home or business like it was ours. 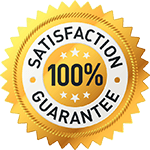 Magic Clean is a full professional cleaning & janitorial service company since 1999 in Whistler, Pemberton, Squamish , Furry Creek and Britannia Beach. We provide quality residential and commercial cleaning and will treat your home or office as we would our own, ensuring that it is cleaned with the same care and attention you would give if doing it yourself! Our services include standard cleans, full cleans, deep cleans, and move-out cleans. We can also tailor a service schedule that will work best for your specific needs. We utilize only bio-degradable products in our services and make sure that we leave as little of a carbon footprint as possible. When we take care of your garbage, we make sure that whatever can be recycled gets recycled. Your girls at Magic Clean did a tremendous job of getting the Whistler Sliding Centre ready for the Olympics. It was a big project and we are proud of you! I just want to commend you for the great work you did in getting our units ready for occupancy. We could not have made our deadline without your help! Thanks for keeping our home 'crispy clean'; your staff is professional and discrete.